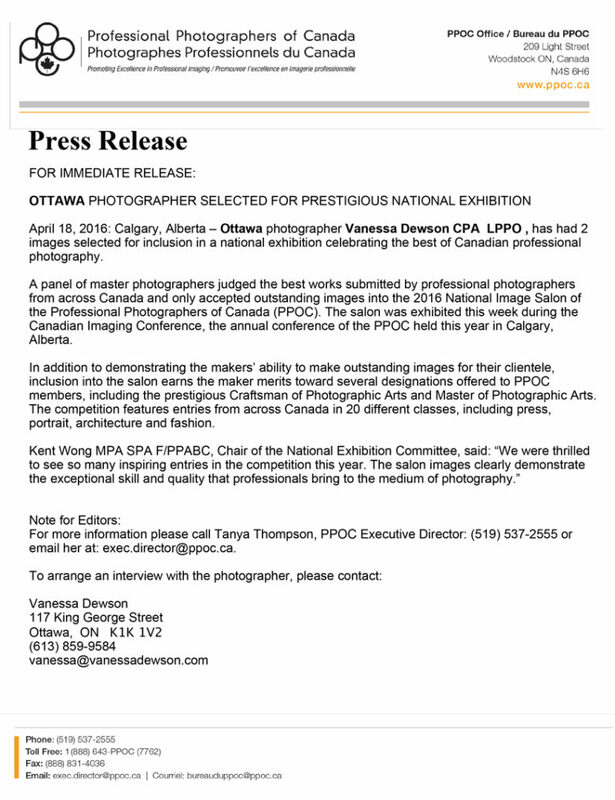 I’m very pleased to report that 2 of my images have been accepted in the Professional Photographers of Canada‘s National Image Salon competition for 2016. If the images look familiar it’s because I had submitted them to the regional competition for Ontario where they both won awards. Competition was tough this year so it’s an honour to have my images deserving of being in this year’s salon.